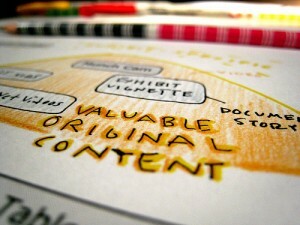 Don’t make the assumption that as a search agency we get away with generating any old content as text on the page. In may circumstances the right solution may not even be the written word. With the rise of multimedia and the ability of search engines to now index and categorise ThinkSearch partner with local agencies SceneStealer, Antwords, and Kerb to generate class leading content in any format. Critically search engines are constantly refining their algorithms to ensure users enjoy their results and keep returning to use their service. These tweaks align the search engine algorithms with user expectations, so as long as your content rocks your search engine results should do too. Try ThinkSearch for editorial, advertorial, website copy, press releases, video, podcasts, games.